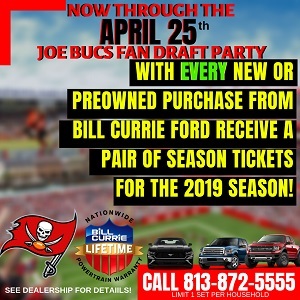 Fiery and intense takes left and right from the Sage of Tampa Bay sports after Sunday’s victory against the Jets. Ira is firing away with Joe, and there’s a special 1-on-1 interview with Rock Riley, who has a lot of juice from the locker room. Tune in right here, or at iTunes, Google Play or Podbean.com. 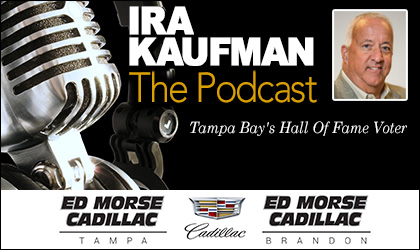 The Ira Kaufman Podcast keeps you informed and entertained every Tuesday & Thursday — and there is no offseason. Click or download above. It’s free and easy. Enjoy! I haven’t heard ANYONE mention O.J.Howard’s fumble in the Carolina game as having a bearing on his lack of targets. I think Koetter is making him do penance for that mistake! A rookie needs to be punished early on to imprint the importance of protecting the football! I think he will have more targets in Miami because he has paid his penalty! If OJ Howard was in New England or even New Orleans, he might be the rookie of the year. Tampa, for reasons known only to them, almost refuse to even use him. Honestly, my friends and I were not down with the pick of Howard. We felt he was a luxury pick, and we had other needs. We were hoping we could trade out of the pick, and get more players we needed. But, it is what it is, and since he is here with us in Tampa, let’s use him. I’d rather have a BPA “luxury” than a quick fix “need” draft pick that more likely will bust. Let’s think long term and not short term. Even if this season was win now, we’re still in the long term building process with a 23 year old quarterback.